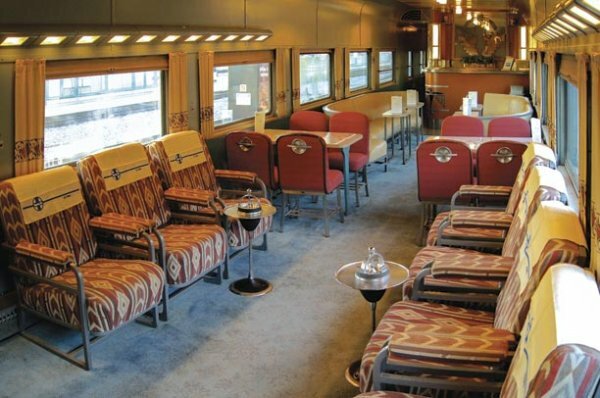 Relax in style as you ride the rails. Comfortably seat 26 people in this historic lounge with its curved couches and original art deco furnishings. Enjoy beverages and dinner with your friends (or make new ones) using our complete bar and updated full service kitchen. Air conditioning and new heating system. Car is based in the Southwest and is a great companion car. 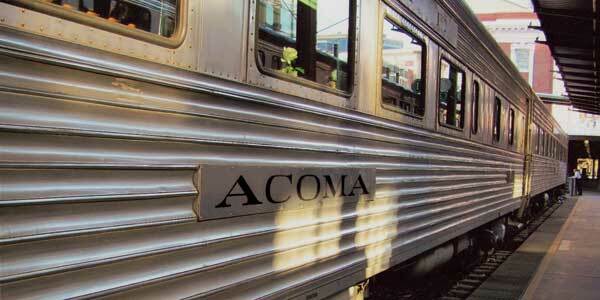 The Acoma, built in 1936, was designed for the Santa Fe by Budd Company for the new streamlined Super Chief. It was the first, full sized, all stainless steel, “streamlined” lounge car built for any railroad. 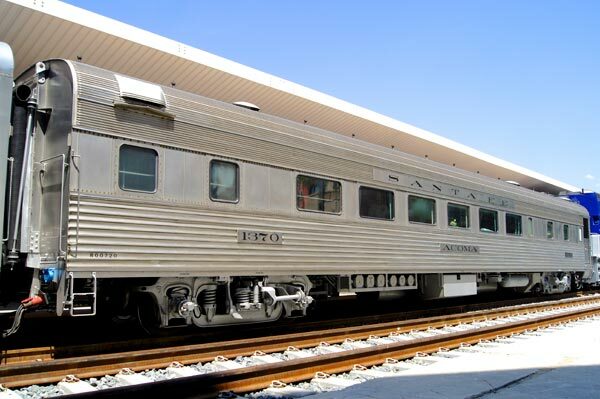 In 1994, the current owners put the car through a multiyear renovation including new trucks, backup generator, new kitchen with a large fridge and two freezers, beautifully restored lounge, and fully functional crew’s quarters.